From I-4, exit east at the Fairbanks Avenue-Winter Park (SR 426) exit. Drive east straight ahead on the same road 4 miles to the Winter Park Village entrance. 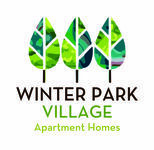 At 1.8 miles you will come to Park Avenue, the main street of the city of Winter Park and Rollins College. Continue east straight ahead on Fairbanks Avenue, which becomes State Road 426 East and then Aloma Avenue. At 3.4 miles, you will come to and cross North Lakemont Avenue. Continue straight ahead. The Winter Park Village Entrance is on the south (right) side of the road at mile 4, immediately past McDonalds. From Semoran Blvd. (SR 436), drive west .7 miles to the Winter Park Village entrance. It is immediately before McDonalds on the south (left) side of Aloma Avenue across from the Wells Fargo Bank.